Black Panther’s Young Killmonger Is a Big Talent | Kid Reporters' Notebook | Scholastic Inc.
Seth Carr is only 10, but already he has had the role of a lifetime. “It was great to be in a great movie that’s making history,’’ Seth Carr said in a recent phone interview. The 10-year-old actor plays the role of Young Killmonger in Black Panther, a superhero film based on the Marvel Comics character of the same name. Released in February to rave reviews, the movie is already breaking box-office records. Seth worked hard to prepare for his role. He was lucky, he said, that the story had “been my inspiration for a while.” He and his mother reviewed his lines frequently so that he would get everything right. Seth didn’t have the most important role in the film, but he played it like he was Black Panther himself. Despite his fame, Seth has the same interests as many kids his age. His favorite subject is science. In his spare time, he likes to play sports, nap, and play the game Fortnite. Still, Seth’s acting keeps him busy. His TV roles include playing Fizzwick on Nickelodeon’s Knight Squad. He will also appear in the upcoming thriller Breaking In, which is due in theaters nationwide on May 11. 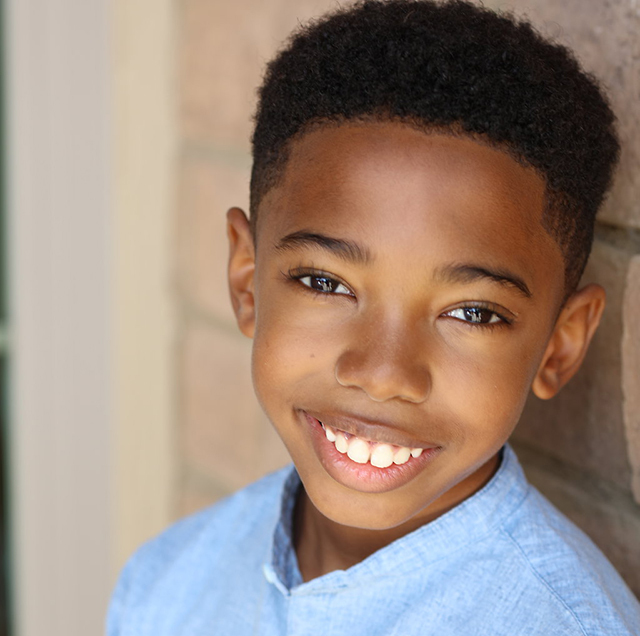 For this young actor, Black Panther is only the beginning.